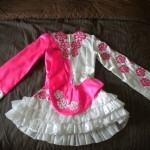 Bright pink and white asymmetrical dress made by Gavin Doherty for sale. 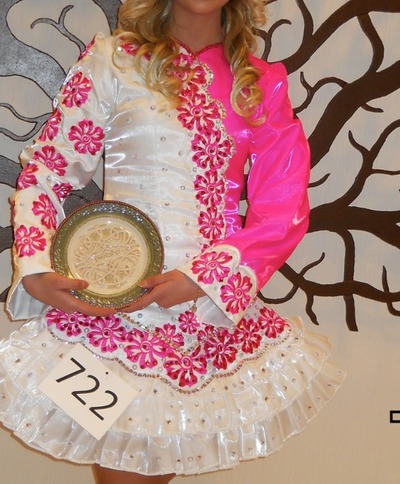 We are the 2nd owners of this dress which we purchased 10 months ago for the 2011 NANS in Nashville. 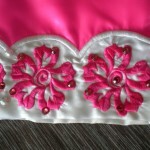 The dress is covered with hundreds of pink and white crystals. 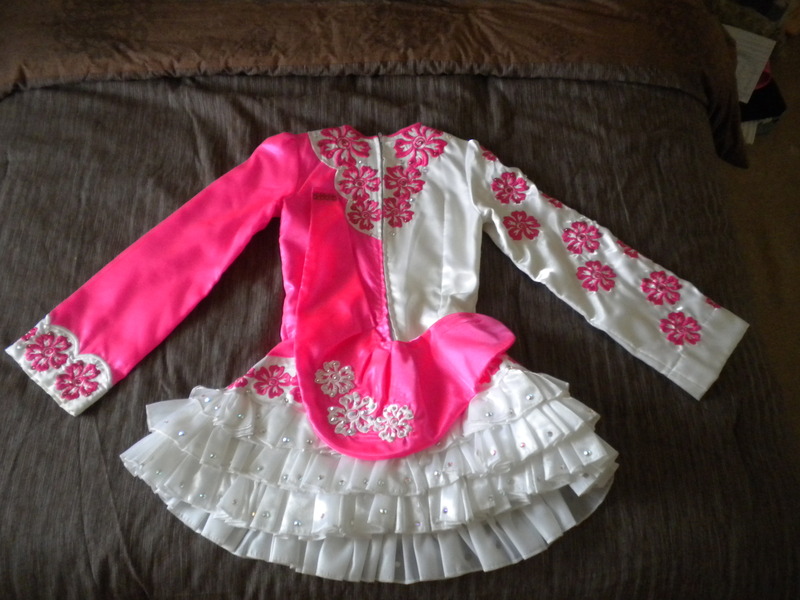 It comes with a beautiful headpiece and matching hot pink kick pants. 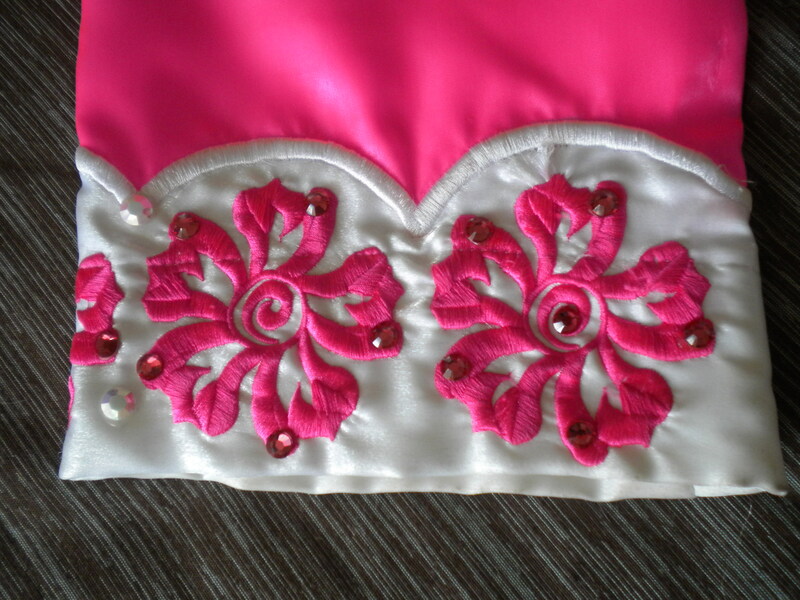 The underskirt is white. Please note, the chest and natural waist measurements are the dancer’s. She is 5′3 but the original dancer was 5′6 and it worked beautifully for both of them. More photos available on request. Dress is available immediately. Please don’t hesitate to email with any questions.